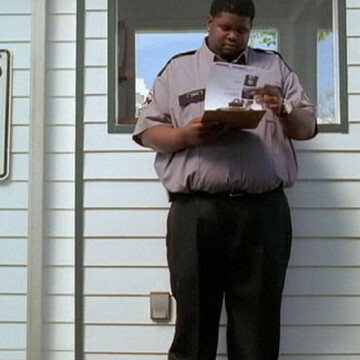 The part of the NBC lot guard in the sixth season’s seventh episode is played by Lawrence Hall. His character initially refuses to let Drama on to the studio lot after receiving explicit direction from Dan Coakley but is eventually swayed by a large gift from the actor. He makes his first appearance at the episode’s eight-minute mark and his second roughly eighteen minutes into the episode.